An amusing straw in the wind. Like everyone else I get sent heaps of conference brochures, and one on my desk is this, entitled Long Term Gas Supply Contracts, to be held in Berlin in July. You can't make it out from the thumb-nail pic of the brochure on the website, but I can tell you that the star attraction featured on the front cover is a "revealing session ... insider insight from the RWE v Gazprom Arbitration Panel", with three leading German lawyers: Messrs Erhard Boehm, Bernhard Meyer and Siegfried Elsing. Now that would be interesting. 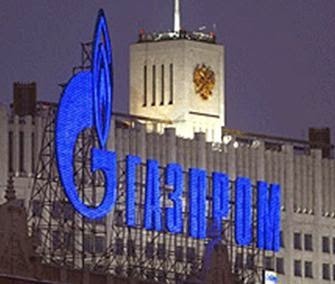 The RWE v Gazprom case (which we've mentioned before) was a protracted affair that, unlike most gas contract re-negotiations, was not settled in the smoke-filled room or even on the courtroom steps: it went all the way, and Gazprom lost. They've always declined to comment. So one might imagine the 'insider insight' session would be in big demand. But what's this? An urgent update from the conference organisers: there will be no insider-insight session, and the case of RWE v Gazprom will not be discussed at all ! So Gazprom's normally reliable sense of humour (see here, here and especially here) has failed. If anyone can be arsed to turn up in Berlin, it would be fun to raise the matter continually from the floor ... how will the Thought Police deal with that? Perhaps I should go anyway. Did someone offer to - err - sponsor the evening entertainment? Tom Jones has a song tailor made for a Gazprom/Putin youtube parody.